The internet at large has been distraught since Fox announced the cancellation of Brooklyn Nine-Nine (along with The Last Man on Earth and The Mick) on Thursday afternoon, setting up the beloved comedy’s May 20 season five finale as its swan song. But amidst all the social media buzz bemoaning the show’s fate—#RenewB99 has trended on Twitter, with everyone from Lin-Manuel Miranda and Mark Hamill to Sean Astin and the Backstreet Boys expressing their support for the show—there has been hope of a different network swooping in to save B99, and a new report from Variety has narrowed the show’s list of potential saviors to one serious suitor: Hulu. The trade’s sources say that “there are currently discussions to continue the ensemble comedy at Hulu,” adding, “No deal is currently in place, but both Hulu and producer Universal Television are said to be interested in keeping the show going.” You and us, both. Netflix, TBS and NBC have also reached out to Universal Television to express their interest in reviving the show, per THR. 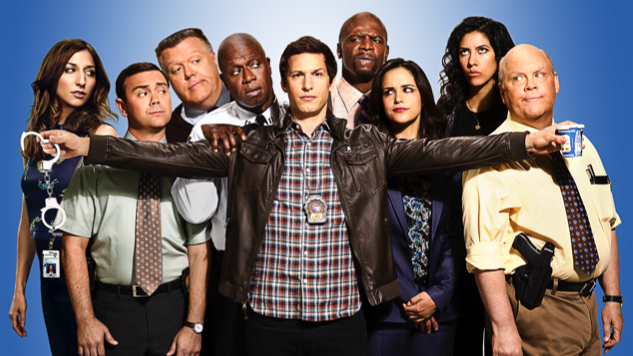 Moving B99 over to Hulu makes plenty of sense. The streamer already has the SVOD rights to the show, and it wouldn’t be the first time they’ve snapped up a fan-favorite series Fox pulled the plug on: They did the same with The Mindy Project after its initial cancellation in 2015, where it ran for three more seasons, streaming its sixth and final installment in 2017. Universal Television and Hulu declined to comment for Variety’s story—let’s hope it’s because they’re too busy ironing out the details of how they’re going to bring back B99. Stay tuned for more on the fate of the show, and while you’re waiting, check out Paste’s picks for the show’s nine best episodes (as of last December) right here.